Fifty years ago today, three young men working to register blacks to vote as part of the Freedom Summer in Mississippi were brutally murdered by members of the Ku Klux Klan. The men, twenty year old Andrew Goodman from New York City, was a progressive activist and Anthropology student at Queens College. Twenty-four year old Mickey Schwerner was a graduate student at Columbia University’s School of Social Work. Both Goodman and Schwerner were Jewish. Twenty-one year old James Chaney was from Meridian Mississippi and was a volunteer with CORE, the Congress of Racial Equity working on voter registration and education with local churches. On June 21st 1964 the three men were in Philadelphia Mississippi where they were investigating the burning of Mount Zion Methodist Church which had been working with CORE in the town. In the wake of that many black citizens and church members were beaten by whites, and they accused Sheriff’s Deputy Cecil Price of abuse. The three were arrested for an alleged traffic violation, jailed and released that evening without being allowed to make any phone calls. On the way back to Meridian, two carloads of Klan members forced them over, abducted them and killed them. The bodies were not discovered for 44 days. Their disappearance brought national attention and a major investigation to the town. Eventually seven men, including deputy Price were convicted of the murders. 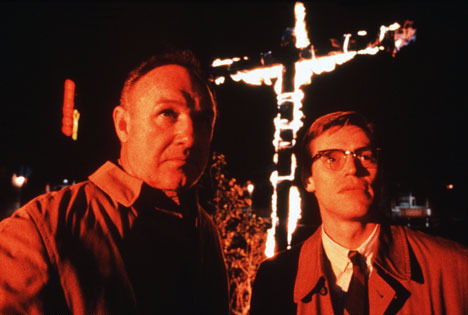 The murders and the investigation became the subject of the movie Mississippi Burning. 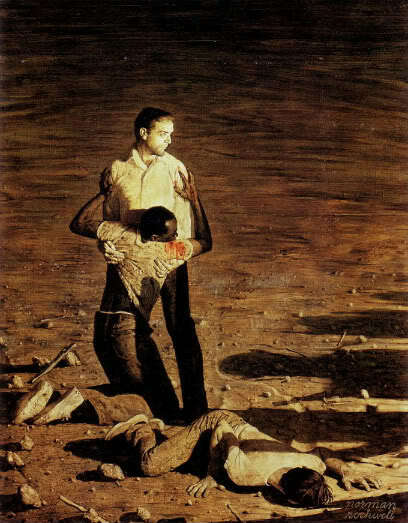 Rockwell, well known for his portraits of American life and the Civil Rights movement painted “Southern Justice” which is sometimes known as “Murder in Mississippi” in 1965. This was not long after passage of the Voting Rights Act of 1964, which has been under attack in many southern states over the past decade and had a key provision gutted by the Supreme Court last year. 50 years ago the murders of these three young men brought national attention to the pervasive racism and discrimination in the country. So many murders, lynchings and burnings of homes businesses and that went before had been covered up by the media. I do hope and pray that we never go back to those days, but as laws are passed to limit voting rights in various states I wonder if the clock will be turned back. I don’t thing that it will in the long run, but the sacrifice of so many for those rights should never be forgotten. 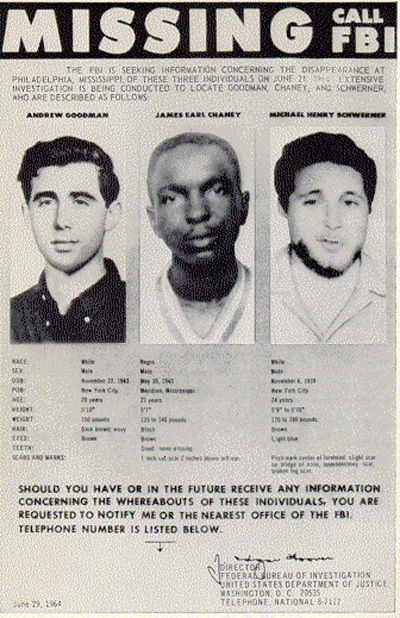 In memory of Andrew Goodman, James Chaney and Mickey Schwerner and others of the Freedom Summer and the Civil Rights movement who died or suffered to peacefully bring about change to our society. Thanks for your compassion and highlighting the 1965 tragedy that was the brutal murder in Mississippi of Goodman, Chaney and Schwerner.